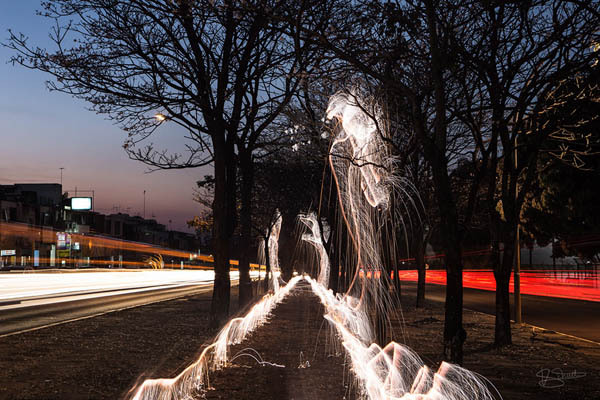 Christmas is around corner, you probably have already seen beautiful tree light decoration along streets for the coming holiday. 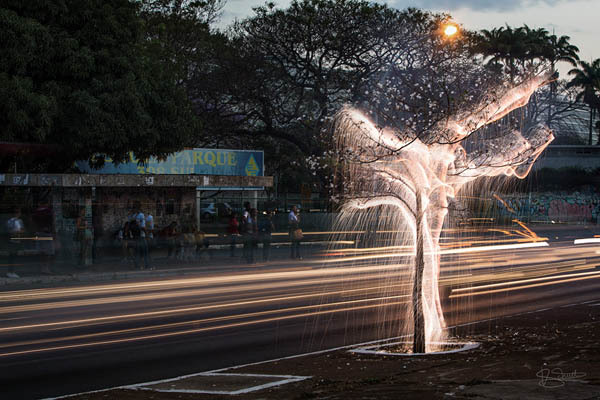 While today, we want to present a set of amazing photos where light appears to drip from trees. 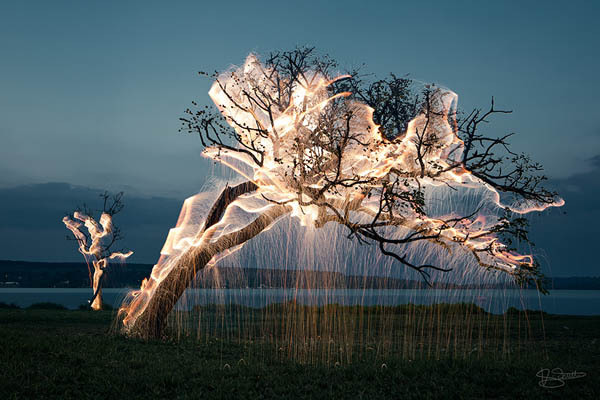 No decoration, no photoshop, just using fireworks and long-exposure photography, Brazilian photographer Vitor Schietti illuminate the branches and stems of trees in his native Brazil. 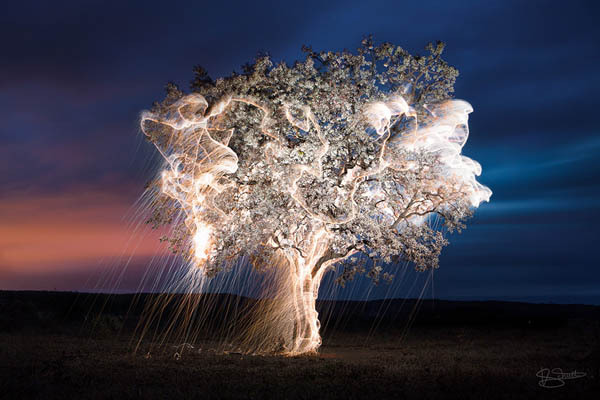 The photos are a mixture of in-camera light painting, and a bit of post-processing that can combine up to 12 shots into a final image. 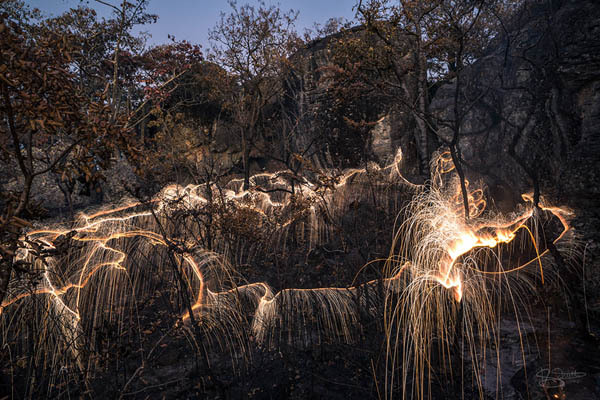 It sounds not that hard but actually, this amazing series is the result of several years of research on long exposure photography. To find prefect balance between the fading twilight and the brightness of the fireworks, you need to practice many times. However, only a few attempts were allowed per day, since the time frame during which this balance is possible is very narrow (30 to 50 minutes). Check the video at the bottom to find out how Vitor use fireworks to in the photo shooting.